Only 487 Innocenti coupes were produced for the European market between 1965 and 1968. None were imported into the U.S. This car was built in Milan and remained there until it was purchased from the President of the Innocenti Car Club. This car was built as a joint effort between Austin-Healey, in England and Innocenti in Italy. The Austin-Healey Sprite chassis (Type HAN7), engine and running gear were shipped from England to Italy where the Italian-designed body, electrical system, and instruments were mated to the chassis. All coupes were left-handed drive with metric instrumentation. Although the Innocenti Coupe' appears small, the interior space provides comfortable seating and headroom for six-foot drivers or passengers. The doors are 4-inches larger than the Austin-Healey Sprite and provide easy entry and exit. Performance/comfort is better than the Sprite due to the tight fitting body, Italian seats and roll-up windows. The Innocenti Company has a history that pre-dates World War II, beginning during a very difficult economical time during The Great Depression, in 1931. It was created by Fernando Innocenti who built some very attractive and stylish cars of the era. By the very early 1960s, production was based on the Austin-Healey Sprites with coachwork in the style of Ghia. The Innocenti 950 Spyder was comprised of the Sprite mechanical components with power from the A-series engine and its suspension, steering, and drivetrain also sourced from the British marque. The Innocenti Company was based in Milan worked closely with the Turin based company, Ghia. The Innocenti vehicles offered a different appearance for the tried-and-true mechanical components of the Austin-Healeys and the popular Mini automobiles. Luxury items such as roll-up windows, lockable boot lid, lockable glove box, exterior door handles and even larger doors could be found on the Innocenti. These improvements made the cars more enjoyable and usable. At the 1960 Turin Motor Show, Innocenti introduced their 950 Spyder. A total of 624 examples would eventually be created on the Bugeye (AN5) platform. The 950 Spyders built atop of the Sprite MKII (HAN6) had even greater numbers, reaching 7,166 units during its production lifespan. The Innocenti/Austin-Healey's built prior to 1963 were powered by the 948cc A-series engine. In 1963, this was switched to the 1098cc engine found in the Sprite MKII (HAN7). To promote this change, Innocenti changed the name of their vehicle to the Innocenti S. Another changes followed, such as new hub caps, updated interior, new badging and grill. A total of 2074 examples of the Innocenti S were produced. 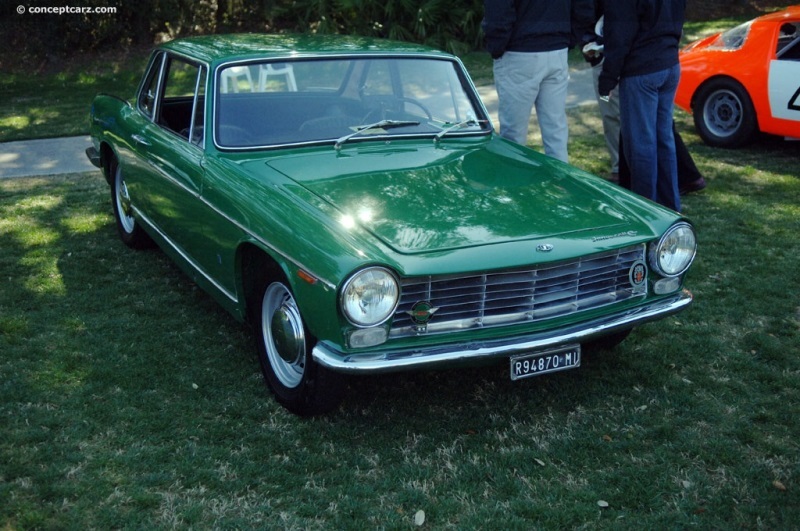 A major redesign occurred in 1966, resulting with the Innocenti C. This was a fixed-top coupe with a larger, 1275cc engine. They were built atop of the Sprite MKII (HAN7) platform with a total of 487 examples created. A further 307 examples were built atop the Sprite MKIII (HAN8) platform. During the entire production run, Innocenti built a total of 7,651 examples from the Sprite. A few were exported with the United States receiving the largest of those exports. Italy, the location of the Innocenti company, received most of the cars.